You can see that on one side we have the volume and camera button and on the other the microUSB port, while at the top there’s the audio jack and On/OFF button. At the back we find the camera with flash and at the lower area there’s a speaker below the Sony classical logo. So, it’s all classical design, with the difference being that you’d expect such specs on a super high end smartphone, not something looking like a midrange handset. 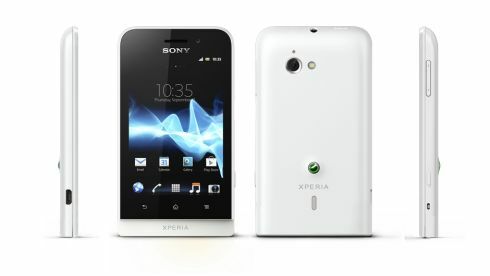 The Sony Xperia Casa features a front 1.3 megapixel camera with 720p capture and the back camera relies on Exmor R technology and supports 16x digital zoom. The handset measures 9.5mm in thickness, weighs 107 grams and has 1GB of RAM. Other features include Android 4.0 Ice Cream Sandwich, NFC, 16GB of storage, 357 ppi pixel density, xLOUD technology, Sony Mobile BRAVIA Engine, Bluetooth 4.0 and a Li-Ion 1910 mAh battery. The price is expected by Ben Ling to be around 300 euros. Would you buy such a device if it were real?